Prior to the first act, an induction frames the play as a "kind of history" played in front of a befuddled drunkard named Christopher Sly who is tricked into believing he is a lord. 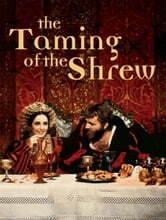 The play is performed in order to distract Sly from his "wife," who is actually Bartholomew, a servant, dressed as a woman. 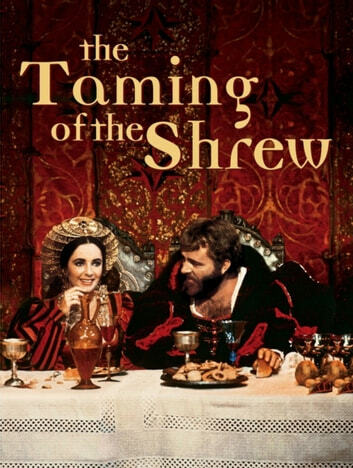 In the play performed for Sly, the "shrew" is Katherina, the eldest daughter of Baptista Minola, a lord in Padua. Numerous men, including Gremio and Tranio, deem Katherina an unworthy option for marriage because of her notorious assertiveness and willfulness. On the other hand, men such as Hortensio and Gremio are eager to marry her younger sister Bianca. However, Baptista has sworn Bianca is not allowed to marry until Katherina is wed; this motivates Bianca's suitors to work together to find Katherina a husband so that they may compete for Bianca. The plot thickens when Lucentio, who has recently come to Padua to attend university, falls in love with Bianca. Overhearing Baptista say he is on the lookout for tutors for his daughters, Lucentio devises a plan where he disguises himself as a Latin tutor named Cambio in order to woo Bianca behind Baptista's back, and meanwhile has his servant Tranio pretend to be him.